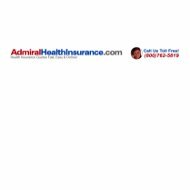 A review of the Admiral Health Insurance Company leads to Admiral Health Insurance Inc. which is a broker of health insurance plans, business insurance plans, health insurance plans, and life insurance plans. A broker gives quotes from several insurance companies and points customers to the company of their choosing. To compare health insurance rates from several companies, enter your zip code in the free box now. As a broker, Admiral has the opportunity to choose the provider of their liking. Brokers tend to work with larger insurance companies that can cover an array of insurance lines in a variety of states. Bigger companies can afford to hirer brokers to promote their insurance products and point customers in their direction. Admiral works with a wide selection of providers. Some of the companies allow customers to get quotes online while others require them to go to their individual websites to receive a quote. Either way, potential customers can use Admiral to find an insurance company that fits their personal insurance needs. A quote is a basic summary of benefits and premium amounts based on the information you provide. It is important to note that the price in a quote is not guaranteed. Once you decide to take the next step and go with a certain company, the quote will be verified to make sure you have provided all the correct information. When you receive a quote, the amount quoted may not be based on your personal needs or your specific situation. Medical insurance is a tricky thing to navigate. There are many factors that can change your quote amount for medical insurance including pre-existing conditions and lifestyle habits. These can be further clarified when receiving the final policy. Admiral gives you the opportunity to compare rates from these health insurance companies before deciding on a policy. The products that are promoted through Admiral are health insurance, dental insurance, business health insurance, and life insurance. Health insurance plans include affordable premiums, discounts for wellness and preventative care measures, and the ability to choose a doctor that you like and respect. Some plans will charge a higher co-pay for certain doctors if they are out of network. Dental insurance options from Admiral’s providers include an assortment of services and covers from basic to extended family care. Dental care is so important, especially for a family. A small problem can turn into a big problem easily, if not treated. Because of this, Admiral’s providers offer dental coverage for the self-employed, those in between jobs, and those who need short term coverage as well as complete coverage. Business insurance include group health insurance, dental insurance, and life insurance that employers can offer to their employees. Insurance benefits are one of the main factors in determining employee retention rates. With the rising costs of health insurance, employees are looking more and more for jobs that carries good, affordable insurance benefits. Life insurance offered through Admiral’s providers vary based on the age, health, and financial situation of the recipient. Term life, guaranteed life, and whole life insurance policies are options that are available. Group rates are provided to employers as just another benefit that they can offer their employees. Since Admiral is a health insurance broker, their job is complete once a customer chooses a specific insurance company. The insurance company then takes over and handles all customer service inquiries. However, Admiral does have a customer service option which can help during the quote receiving process. There are three licensed insurance brokers that work for Admiral. These brokers are available to help potential customers with any questions they have before they choose a specific insurance company. Customers can contact them via phone or e-mail. Since they are brokers, they do not work for one specific company and do not have a vested interest in which company you choose. You can start saving money by comparing health insurance rates from several companies right now by entering your zip code in the free box.